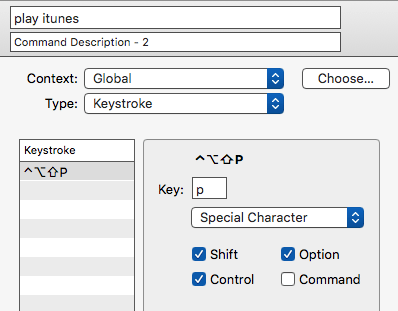 Despite my issues with Dragon Dictate, the voice-to-text application remains the only Mac program for triggering powerful and time-saving voice commands on the Mac. As I explained before, Dragon Dictate outshines Apple’s voice commands features. And even when the upcoming Siri command features are released in the Sierra of OS X, it looks if as Dragon Dictate will still be able to handle tons more commands than Siri. 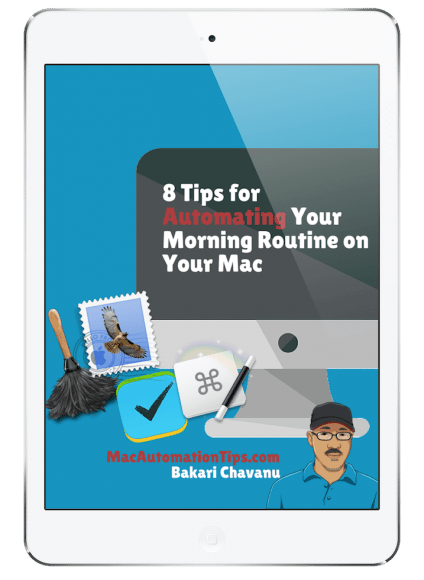 To explain how powerful DD voice commands are, I’ve created a list of my 101 favorite Mac commands. DD comes with built-in voice commands, but nearly all the commands listed below are my custom commands. 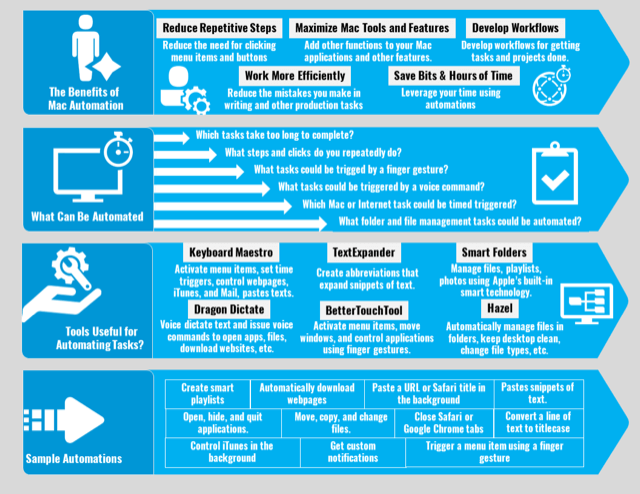 Honestly, I use the voice commands more than I use text diction, though the latter does come in handy for various purposes, such journal writing and editing documents. I also use the USB 3-in-1 TableMike (Amazon affiliate link), and I typically keep DD activated throughout the day as I work alone in my office. The noise cancelling TableMike allows for playing music in the background while using DD for dictating text and issuing Mac commands. 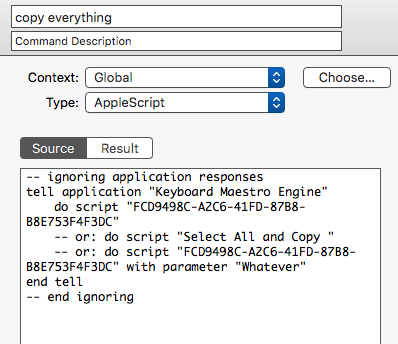 The words in italics indicate the command I use to trigger assigned actions. 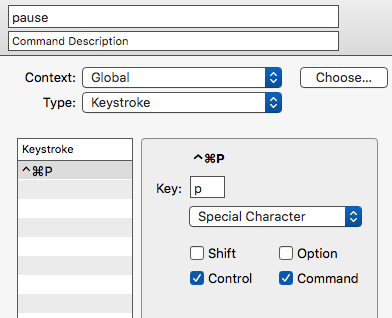 Items with * indicate commands mapped to a Keyboard Maestro macro, and items with ** indicate commands mapped to a BetterTouchTool action. To map a Keyboard Maestro macro, you simply copy the AppleScript script created for the KM macro, and then paste it in an DD action. 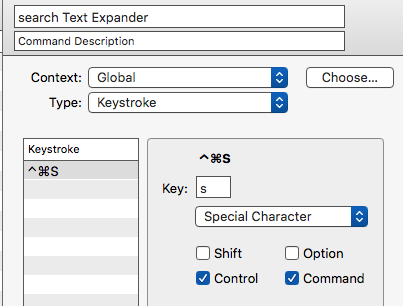 For mapping BTT actions, you assign a keyboard shortcut to a BTT action, and then use that shortcut for setting up a DD action. All the other commands are based on triggering keyboard shortcuts or application menus to voice command actions. 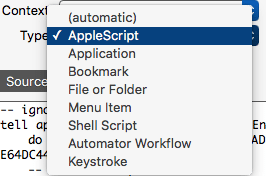 You can also base custom commands on bookmarks, files and folders, shell scripts, automator workflows, AppleScript scripts, and application launches. 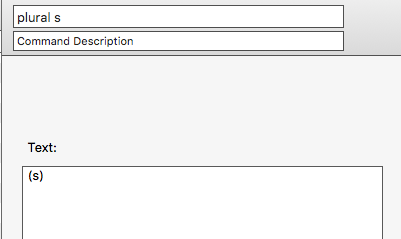 Likewise, you can issue the command, “Activate [name of application]” and DD will launch that application. I hope the above list provides some good ideas for what can be done with using custom commands in Dragon Dictate. Dragon Dictate is a not the most stable program for the Mac, and it may require a considerable learning curve. But if you like the idea of sending voice commands to trigger items, you should give it a try. 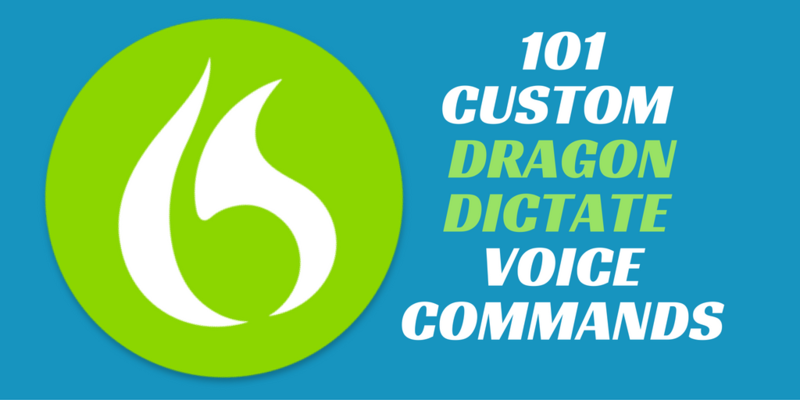 This article shows how to set up voice commands in Dragon Dictate. 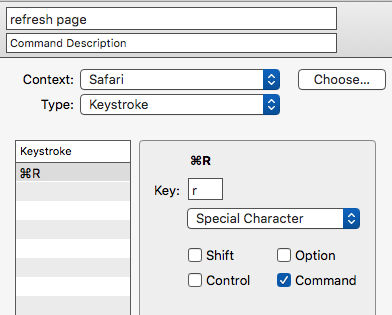 Note: Mac OS El Capitan also features voice commands, but they are somewhat more difficult to set up, and the feature mutes any other sounds coming from your computer when you activate the voice command feature. For more information, see the article I wrote on MakeUseOf.com. Let me know if you’re interested in knowing more about Dragon Dictate, and what questions you have about the program. Great ideas. There seems to be a plethora of available commands out there for Windows-based Dragon. I have no coding skills and trying to figure out how to set up a “clear variable delimiters” command for my Mac Dragon — this is available on the Windows version but not for Mac apparently. I’m a physician, and I’m trying to automate with Dragon for my notes, utilizing templates – having a means of removing bracketed normal findings would be great. Hey Matt, thanks for your feedback. I don’t specifically about your setup, but I’m wondering if a KM macro mapped to BTT command could clear the variable. Can you send me a video of what you’re trying to do? Bakari – thanks for your response. I apologize for not making it back to your site before now. 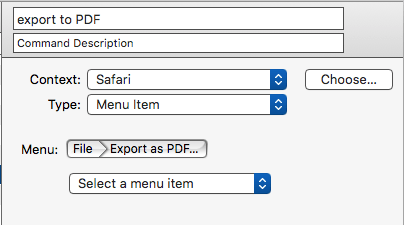 I did discover the “Accept Default” command essentially performed the task I needed. But now I have a new conundrum – in Naturally Speaking, I am able to map the “Next Field” command to a button on my Philips LFH3500. The Mac version, with Philips SpeechControl program, does not allow this, to my knowledge. Unfortunately the mappable commands are a far smaller group. Is their a way to circumvent this? 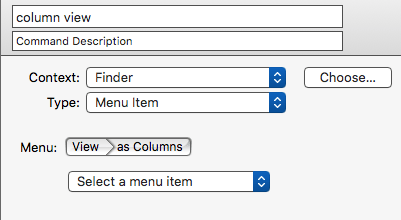 Clicking the button is an even more efficient way of moving through a macro/template than speaking “Next Field” with every step. Thanks in advance!!! Hi Matt, I’m not familiar with the Philips SpeechControl program. 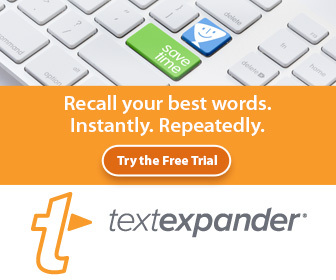 Are you asking me about that program, or are you asking me about how to use BTT with the program? If you’ve had a chance to look at Dragon for Mac V.6 and Siri in Sierra, do you have any thoughts? Hi Tony, I wrote an article about DD and Siri, which I need to update. But basically I still use DD because I find it better for writing dictation and custom voice commands. DD is not always stable for some users, especially after a new macOS update. With last version upgrade, it took Nuance months to get the application working again, and they always charge for major “upgrade”. Over all its now pretty stable, but it does take time to learn. Let me know if you have any more questions.